We offer lots of different depository facilities available to fit every situation and budget. It doesn’t matter if you are looking for large storage units in Miami, or you need the mall ones. Regardless of how long you intend to use the depository. Plus, no matter what kind of purpose – residential or commercial storage units in Miami. Or if you are looking Miami self-storage or full-service storage Miami. We do recommend full-service warehouse. That way you save time and money. But it is up to you to choose, and we are there to satisfy your needs for storage in Miami. You can use this simple calculator for to get the estimated price for the storage services you need. That effort doesn’t need to be made only by you. If you are making a Miami move, for example, you are not doing it by yourself. At least we suggest you hire moving companies Miami offers. Being that the moving and storage companies in Miami can help you very much with the relocation. And also they have Miami storage capacities to help you save your belongings from the damage. But, to find the best storage or one of the best, takes an effort. We are here to help you with how to choose the proper Miami warehouse in this popular city in Sunshine state. 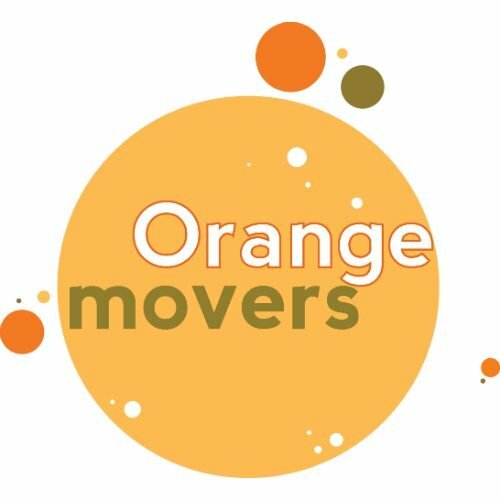 Providing you with what you should search for, and why Orange Movers Miami are the best place to store your belongings. No matter if you are looking for self-storage units for rent in Miami, or you would prefer full-service storage. What types of depository units are there? Miami outdoor storages- The most affordable type of all, given that you literally get the outdoor repository. Climate controlled warehouse solutions- Adjusted to different kinds of special needs your belongings might be requiring. Residential storage units in Miami- Particularly meant for residential moving or as temporary depository facilities for your personal belongings. Commercial storehouses- Storehouse capacities for businesses to keep their products or raw materials. Vehicles depots- Facilities keeping your vehicles safe while you don’t need them or you can’t take care of them yourself. Self-storage units- You rent these Miami storage facilities and keep your belongings in the rented capacities. Miami movers’ depots- Warehouses owned by the Miami moving companies, mostly made for your items depository during the Miami relocation. Storage in transit- For items which you might require to be accessible all the time, until the time you have where to place them permanently. As you can conclude out of the name, those are the units without special conditions. They are placed outside, with the capacity for your belongings not needing special care. Being that there are no many services offered in these facilities, they are the most affordable solution when talking about warehouse units in Miami. Still, we recommend caution here. Make a detailed examination on whether or not your belongings should be exposed to the wind, rain etc. Be sure you choose the right warehouse for your items, so they could be safely taken care of by the storehouse workers. These are the storehouses with climate control inside of them. They are prepared to secure your items needing special care. Particularly adjusting the inner conditions to the environment where your belongings should be stored. Besides the climate conditions, this type of storehouses in Miami has special tools and equipment. Being fully prepared to receive all sorts of items no matter what kind of special care they might be requiring. You can assume these kinds of a warehouse cost more, but they also secure all your belongings, products or raw materials from being ruined or damaged. Whatever price you pay it is not much comparing to the outcome of not keeping your valuables safe. You should use storehouse capacities in Miami made for the purpose you’re using them for. Just like you’re using the services of local movers when moving locally, or interstate movers Florida when moving cross-country away from Florida. I mean, when moving in Ft. Lauderdale, you’ll hire Fort Lauderdale moving companies, or when relocating in North Miami Beach, you will not search for a mover from Alaska, but for movers in North Miami Beach. The same thing we talked about the moving companies can apply to the depository facilities. Therefore, when moving your home, and needing a Miami storage capacities, you should use Miami residential storage. Here you can keep your belongings safe for a short or long period of time. Depending on how much time you need to keep your items safe. This can depend on the preparedness of your new home, or on the date you are forced to leave your previous home for example. Unlike the previous kind of warehouses, these are specially made for business users. The most of moving and storage Miami companies have both kinds of warehouse and storehouse capacities. Still, before you jump into conclusion, do ask the company representatives if there are facilities in that particular storage Miami service specially made for commercial use. If there are, check if they fulfill the requirements and standards for such a purpose. Business repository solutions in Miami must be specially made for business users. Those items are very valuable for companies and hence they can’t be badly managed. This is why we repeat again to carefully examine the condition and the safety of commercial storage Miami, before you sign on the dotted line. Whether you plan on leaving the country/state, or you just plan on not using your vehicle for a certain amount of time, vehicles storehouses are a great solution. Especially if you don’t have your own space where you could keep your vehicle. This is why the idea of vehicles storage Miami came on the table in the first place. The only thing you should consider here is the exposure to different climate conditions and the safety. Check on the insurance and find out what happens if your vehicle is stolen. Given that there are more and more Miami storage robberies nowadays. The name self-storage units for rent in Miami tells you the purpose of this type of depositories. You rent them and keep your belongings there. This storehouse type was invented to save your money, but unfortunately lowering the quality of the storehouses and the safety of your items. This isn’t something storage owners had in mind or intended to do. It is what happens when nobody takes care of items stored in these facilities. The most common purpose of self-storage Miami capacities is to place your clutter there. And that clutter is rarely checked more than once in a year. This is why people get a headache when they come to the self-storage units in Miami. The most of their belongings are often ruined and they are devastated. This is why we recommend not to use self-storage capacities for the items needing at least some kind of care. This is the kind of storehouse solution for both- residential and commercial users. Only, this is specially made for the purpose of relocation. To keep your belongings safe during the Miami moving. So this Miami repository facilities mostly don’t have some special conditions to take care of the items needing them. This is good to have in mind next time you need the warehouse during your relocation in Miami. In case you have some valuable item needing special care, for example when moving your piano or fine art, you better ask your moving company if it is safe to keep those items in their Florida storehouse units. This kind of storage is popular for those people moving from bigger business or residence space to the smaller one, still needing all of them, only not having space where to keep them. So until you find a suitable place to put those items, you need them stored and close to you. For example, you decided to make an interstate relocation hiring interstate movers Florida. But you need to transport all of your items safely, only not unloading them but letting them stay in some kind of a storage truck. This way, you can use all your items, you don’t need to unload them and then put them in the different depository and you can have them delivered directly to the place where you arrange them to be kept. Let Orange Movers Miami storage take care of your valuables! Now that you know what kinds of depositories are there, you can decide which one would suit you the most. And although we can’t claim we have the best solution among our storage Miami facilities for every depository requirement you have, we do claim we will do our best to provide you with the best solution out of our facilities for whatever warehouse capacity type you might require! Contact us and we shall give you more details upon this subject. Making sure that all your desires are fulfilled. Very often you will need storage even when not moving house but just need a bit more space at home. Do you need extra space for your equipment or office supplies? We have all the solutions big and small. We have the perfect solution for you to house your belongings for a limited time period. You don’t always want to get rid of your things and memories that you don’t use on a daily basis. Long term storage is the perfect solution for you. Your items and belongings are important to you, and so they are important to us too. The last thing you need is your things to be put on a concrete floor and gather mold and mildew. Your items will be placed into our storage vaults that are temperature moderated and fully taken care of. Many of the items we put in storage have a sentimental value as well as cost value. You want your important possessions kept in a place that is as similar to your home as possible. We provide clean and well lit storage areas with the latest security protocols. If you request easy access, a month to month lease would be ideal and saving money along the way won’t hurt. We have a large and varied selection of customized storage solutions. We make sure that they all include clean and climate controlled storage units and are fully secure. We provide you with all your packing supplies including: boxes, bubble wrap and tape. All our storage units have 24 hour security and video surveillance. We have all size solutions from the smallest to the largest. Of course we help you with the budgeting as well; we provide monthly renewal subscriptions, active-duty discounts, and lots of other promotions and goodies. When you need the space you know that you can always rely on us to find you the perfect solution. Full service storage is the ultimate solution to save you time and cash. We list your furniture and belongings, including description of each item and condition at time of pickup. Then everything is wrapped securely and placed into large vaults which are then fork lifted into the warehouse, until you are ready for them. Your belongings can live with us weeks, months and even years until they have a place in your home. Our full service storage is the perfect solution for you and is flexible and affordable. You will get privacy, convenience and cleanliness. Contact us to find out whatis the best storage solution for you. Many other companies take their time in sending over their storage estimates. But we want you to have all the information up front. Use our Storage Calculator to get a customized estimate within 3 minutes. Just fill in a few details like estimated storage time needed and what needs to be stored and your estimate will be on its way.